Unfortunately this week we have dropped into some very chilly temps here in Western PA and Mother Nature has decided to add a few inches of snow on top for good measure. With all the joys that come with winter weather; having to preheat the car, losing the majority of our outside activities, bundling up under lots of layers, and unexpected winter expenses, it’s hard not to have it impact your mood. Personally, I woke up yesterday to 14 degrees and heard a very unhappy furnace working overtime before I rushed off to work. Before I go back home, the furnace put in a formal protest and blew a motor. This, of course, led to an emergency service visit and more than a $500 bill. Not the way I wanted to start my week, but then, it is only one part of my week and there is a lot left. As easy as it is to get caught up in frustrations and let them weigh you down this time of the year, its important to stay aware of everything that is contributing to the mood switch and what you can/need to do on a regular basis to fight it off. Less sunlight = less Vitamin D. We have all heard about how Vitamin D impacts our mood but do you know why? There are receptors in the brain in areas where depression can develop. When enough Vitamin D isn’t supplied, the receptors start shouting at the body and depression can develop. Sunlight is normally nature’s cure for this; warm sun on the face and skin is absorbed as Vitamin D and fills those receptors, so that they aren’t as likely to trigger depression. With the sun going down between 4:30-5:00 we have far less opportunity to absorb Vitamin D.
Colder Temperatures! It’s pretty normal that the colder it is outside, the less you want to go outside. This leads to people getting stuck indoors with less to do. We become less physically active, we spend less time with friends, and we are less involved with sports or activities that we enjoy in the other three seasons. This impacts our body and brain by decreasing the healthy chemicals/hormones that develop during activity, as well as the positive interaction time with others. Then it trickles down and impacts our mood: cabin fever, boredom, anxiety, agitation, hopelessness, and depression. We get sick more! Unfortunately winter weather tends to bring winter cold and flu season. This never improves someone’s mood! Whether its you getting sick, having to take care of a loved one, or just trying to avoid all the people spreading their germs, it leaves one on edge and tired out. Holiday Hangover: We go through November and December being preoccupied with all the holiday festivities; time spent with others, buying and getting presents, decorating the house, and coping with excessive time spent with extended family members. When things slow down in January, we tend to feel more exhausted (and broke) and with an overabundance of free time that we aren’t really prepared for. Winter Weight: one of the sad side effects of all the holiday eating mixed with the decreased activity is a change in or metabolism and accompanied weight gain. We tend to become unhappy with our appearance and dislike how our body feels. Add to that discontentment some distorted thoughts and self criticism, and it leads straight to lower self esteem and depressive feelings. Stay active. Go for short walks, start an exercise routine in your house, meet friends at the gym, or put on music and dance. Try to get at least 20 min of activity three to four days per week can make a major difference in your mood. Make small changes to eating healthier. Adding more fruits and vegetables and decreasing sugar intakes can help give you more energy and decrease the wear and tear feelings of the holiday hangover. Finds new hobbies. When you can’t go outside to enjoy sports, gardening or sunshine rich activities, find new ones to do in the house. Start a puzzle, crotchet a scarf, take up woodworking, read a book (or series of them) that you have had your eye on. Use the time to clean out closets and declutter to get a sense of accomplishment and order. Schedule a game night with friends. Invite other families over for board games or dinner on a regular basis. Make this part of the winter routine that you look forward to. Talk to your doctor about vitamins or supplements that might give you a boost. Keep aware of yourself. If you are trying some of the above suggestions and not feeling any improvements or, worse yet, feeling a decline, it might be more than just the winter blues. When you find yourself struggling to get out of bed, withdrawing from others, isolating and losing any sense of joy, you may be experiencing Seasonal Affectiveness Disorder or clinical depression. If you are concerned about this, reach out to your doctor or find some additional levels of support. 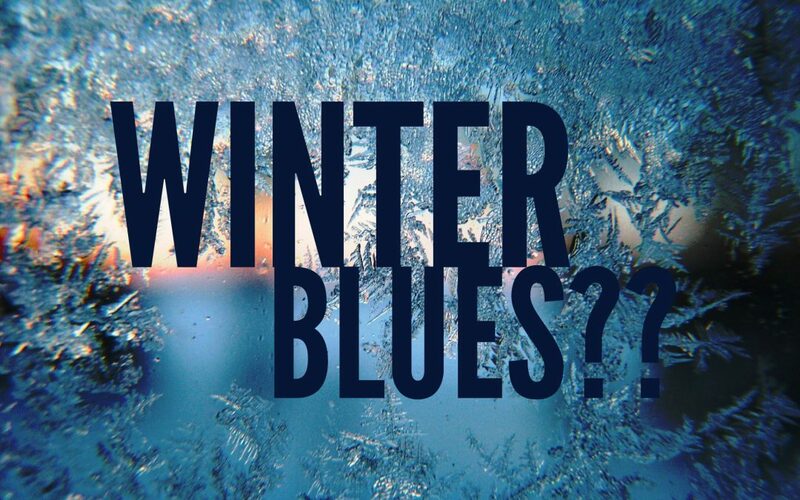 A therapist can be a great resource for helping you determine if its winter blues or something more. At Angelus Therapeutic Services we have a great team of clinicians who can help you explore where your sadness is coming from and how to get back to feeling like yourself again. Contact us today for more information or to set up an appointment.